In 1973, the world was in the midst of the Cold War. The Soviet Union and its allies were locked in an ideological struggle with the West, a struggle that was enacted through proxy wars. Egypt found itself at the epicentre of the Cold War in October 1973 when it launched an attack on Sinai to regain land occupied in 1967 by Israel. For a few weeks the world stood on the brink of a direct conflict between the USSR and the US, the respective patrons of Egypt and Israel. The wartime atmosphere of Cairo, where I happened to be a student at the time, provided a rich setting for my story. At the same time, the Cold War was being fought by way of elaborate espionage tactics, unseen by the public except when spy swaps and defections broke through into the press. The fictional Cold War spy exploits of my Soviet diplomat Zlotnik are as plausible as anything that might have happened in real life. I have connected the settings of Egypt and the USSR with a third thread: The Armenian genocide and diaspora. I was lucky enough – in retrospect – to observe the mood of a city at war in 1973 through the eyes of Egyptian Armenian relatives I had acquired through marriage. Their community lived a sometimes uneasy existence in Cairo, and many had already left for safe havens in the West. Some Armenian families had been ‘repatriated’ to the USSR in the fifties at Stalin’s invitation. At the same time, many Soviet citizens of Armenian origin attained senior positions in science, administration, industry and the arts. Perhaps the quintessential symbol of this link is Artem Mikoyan, the Soviet Armenian aircraft designer; the MiG aircraft that led Egypt’s air attack on Sinai are named for Mikoyan and his co-designer Gurevich. 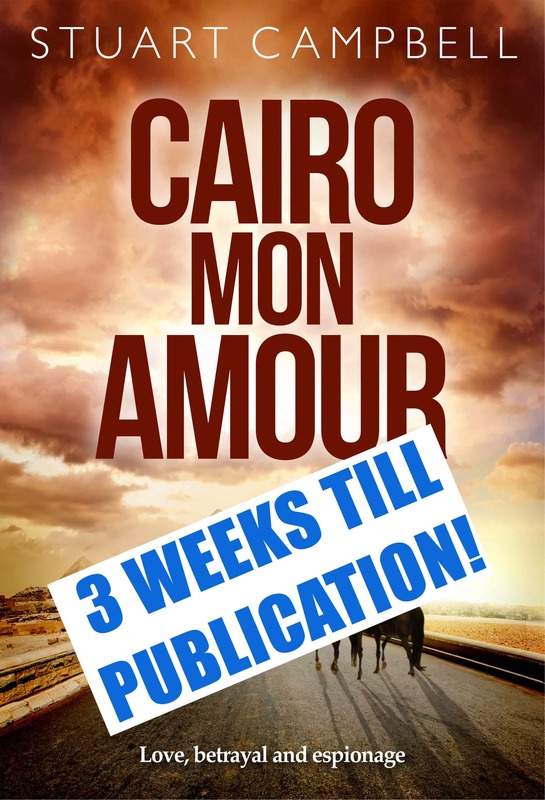 Coincidentally, Cairo Mon Amour was written in the years before and after 24 April 2015, the centenary of the Armenian genocide.